A good pair of flats can change everything. I love my high heels and boots as much as the next fashion-obsessed girl, but size ten feet that have undergone surgery can only stand so much pain, which is why an arsenal of flat shoes is essential to looking stylish and feeling comfortable. The espadrille flat is a perfect summer shoe, and a flat one at that! Now I know, summer is slowly winding down and everyone is looking for boots and coats at the Nordstrom Anniversary Sale, but when you live in a region such as Los Angeles where it is only now feeling like summer, climate-wise, and where it will feel like summer through September, you have time left to invest in a few key summer-centric items. Besides, I firmly believe that summer will come again (in less than a year!) and so even if your espadrille flats get little use this season I know that you will appreciate your smart purchase come next May. The flat espadrille slip-on is the quintessential shoe choice for the woman looking to escape to the French Riviera or the woman who wishes to appear as if she is escaping to the French Riviera. It’s like a more stylish version of the currently popular slip-on sneaker. Perhaps the most popular espadrille is the Chanel iteration, but for those of us who can’t drop hundreds on a pair of flimsy everyday shoes, fear not! 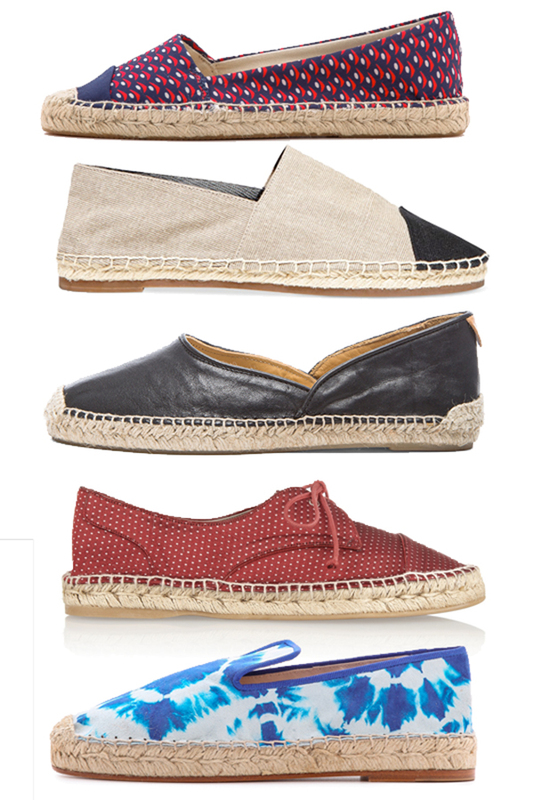 There is an espadrille for every girl, including you!